FIU scored 39 of a possible 50 points to tie UCF in the top 3 of the State of Florida's University Performance Funding model. Last year FIU also tied UCF at 3rd with 36 points, significantly, however, is the fact that these proposed state funds are scheduled to double from $50MM to $100MM this year. I think that FIU got about $7.5MM last year and given the growth one would expect something around $15MM for this year. Not sure about the rankings but I would assume that UF and USF would be one and two (FIU and UCF tie at 3) and the article says that FSU and UNF tied for the last spots to qualify for funding. [The bottom three don't receive these additional dollars (FAU was in this group last year). This leaves FGCU, UWF, FAMU, FAU and something called New College as potential bottom three]. Never seem to hear much about these good news stories about FIU. This is good news again, I think our Achilles heel is our freshmen retention rate. That really needs to improve. p.s. there's some funky stuff going on in metrics 9 and 10, esp. where New College and UWF are concerned. 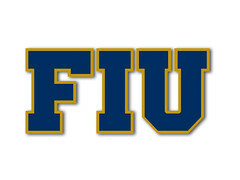 Good stuff, another great year for FIU in Performance Funding Model. Kudos to the university leadership for continuing to garner Top 3 in points awarded. More interesting findings from the detail of the University Performance Model. In the first two categories, % of Bachelor's Graduates employeed and Median Wages of those Graduates, FIU ranks first with 77% and $36,200, resp. So not only do more FIU graduates get employeed one year after graduation but they receive the most in wages. Beyond this, FIU students receive the most aid measured by Pell Grants second only to FAMU. What that tells you is that FIU is turning low-to-middle income students in this community into high earning tax-payers. This information clearly shows that FIU is providing more bang-for-the-buck than any other institution in the State.